Funeral Vision came to Idea Buyer looking to develop an app to securely stream live feeds of funeral ceremonies. Experiencing a funeral of a family member, where people were unable to attend, the founder of Funeral Vision found a solution to a problem many people face. The idea for the app provided an opportunity for a solid business to be created from this idea. The Idea Buyer team is proud to be a part of this app success story. The idea was to provide funeral homes with the opportunity to better service their clients while also enabling more loved ones a way to be a part of the funeral ceremony. The team at Idea Buyer was eager to work on this project, as we knew it was a real problem and wanted to be a part of the solution. Market research allowed us to differentiate the app from competitive alternative by adding select features and functions. Branding for the app was designed in a sleek, user-friendly and non-invasive fashion. Throughout development of the app and website, ease of use and security were a primary focus. Beyond streaming live funerals, Funeral Vision provides the primary user and their family with funeral planning tools. 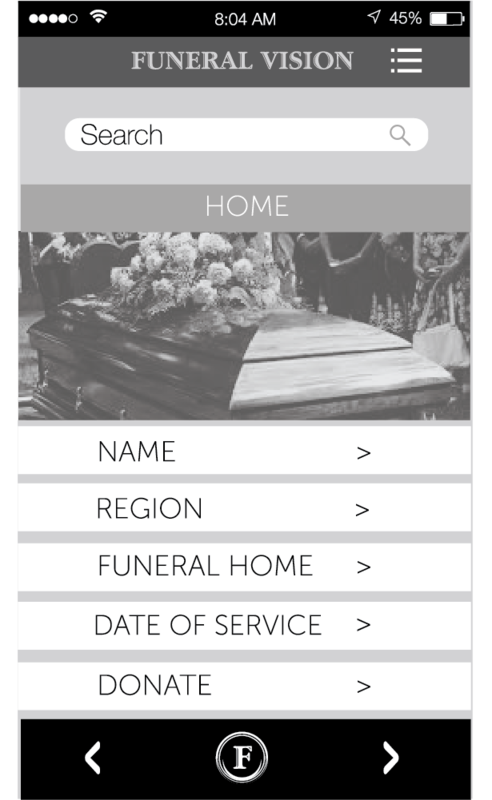 Funeral Vision is fully functioning and available for download in the Apple app store. Their team is currently preparing to release a 30-day free trial of their app to Funeral Homes that offer the Funeral Vision service for virtual attendance. Idea Buyer assisted with the entire concept creation, service pricing and suggesting a profitable business model. We also set up the necessary servers to host the live streaming with the most security possible. Our team worked with the creators of Funeral Vision through every step of the process to ensure the app development process would allow for the desired business model. The Idea Buyer team is actively working with Funeral Vision to improve the user base and business model. The Idea Buyer team has throughly enjoyed seeing Funeral vision becoming an Idea Buyer app success story!